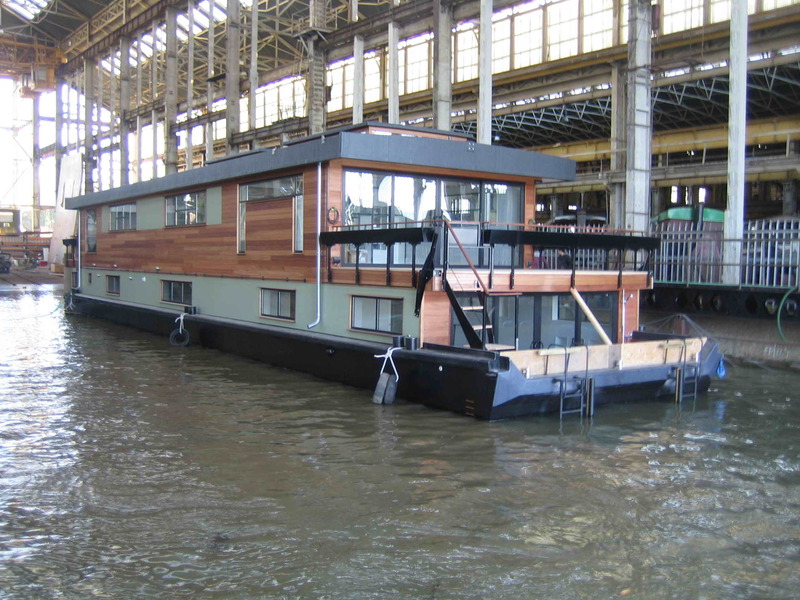 Dirkmarine finished this custom designed houseboat/floating home in Copenhagen in 2003. 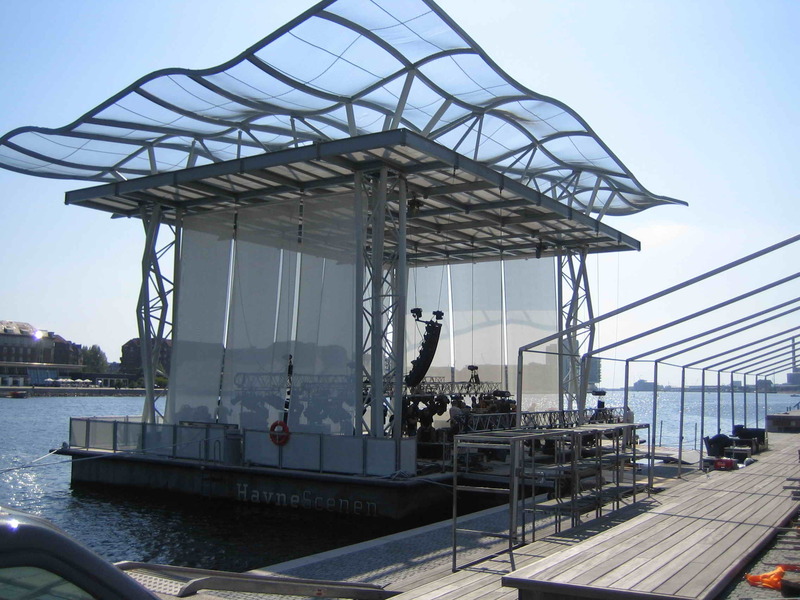 It was build in a old shipyard placed very close to the center of Copenhagen. 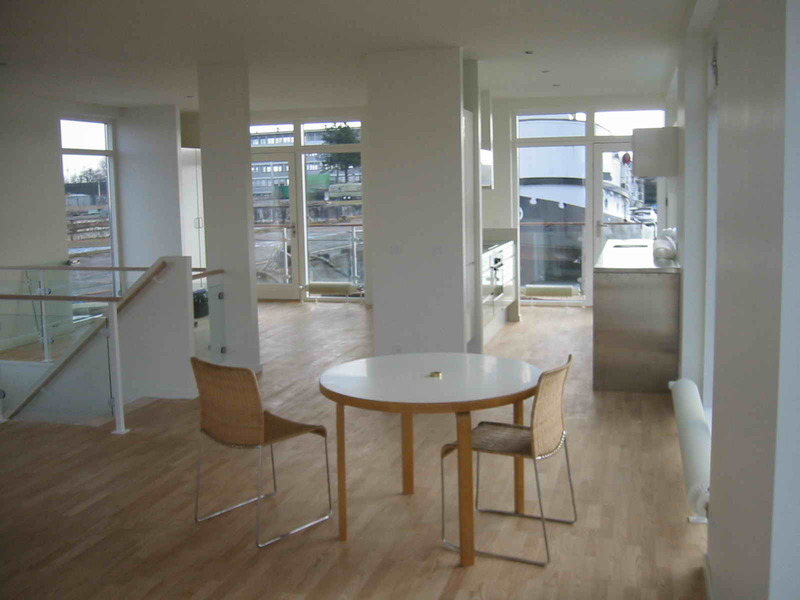 It is a modern home, with 2 floors and a living space of approximately 150 m2. 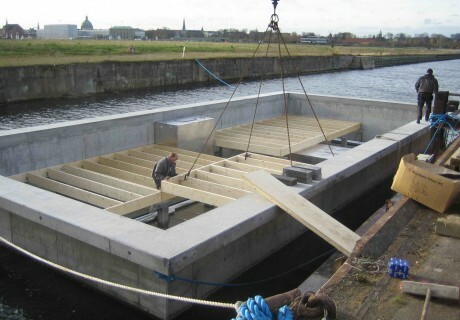 The hull is Dirkmarines concrete HUBB®, it is 7.6 meters wide and 14.6 meters long, and has a total weight of 150 tons. 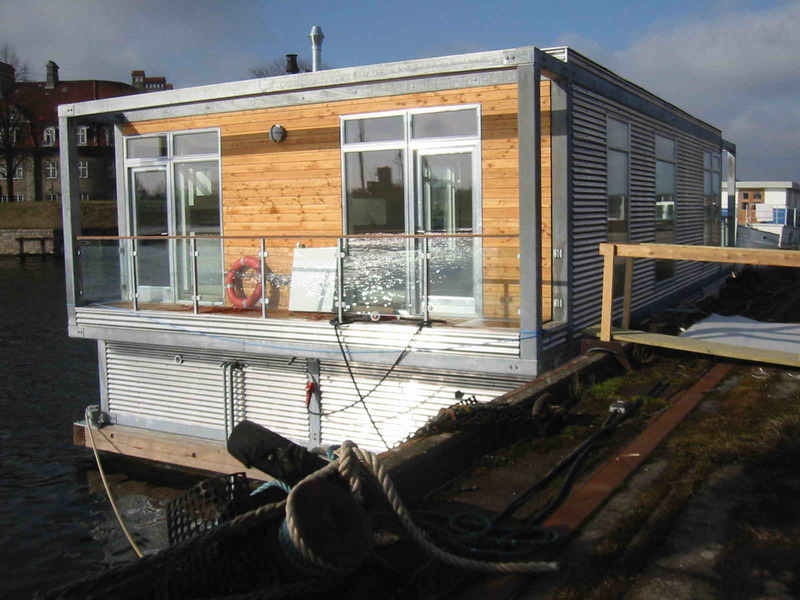 The houseboat was build in modules. 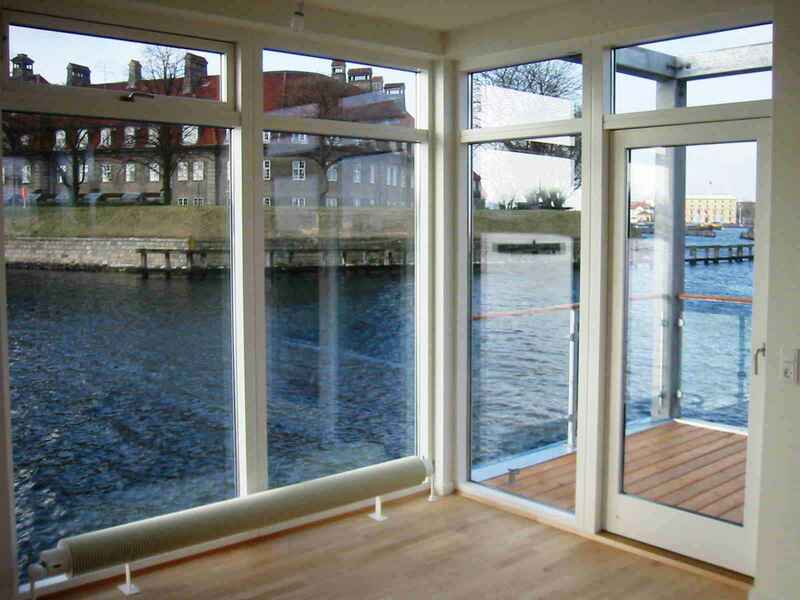 The interior is very Scandinavian - Wooden floors and big windows - making it possible to enjoy the beautiful view. This home also has a lovely terrace in front of the living room. 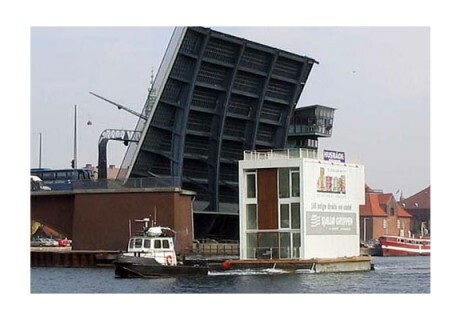 The houseboats we build always follow the building regulations. 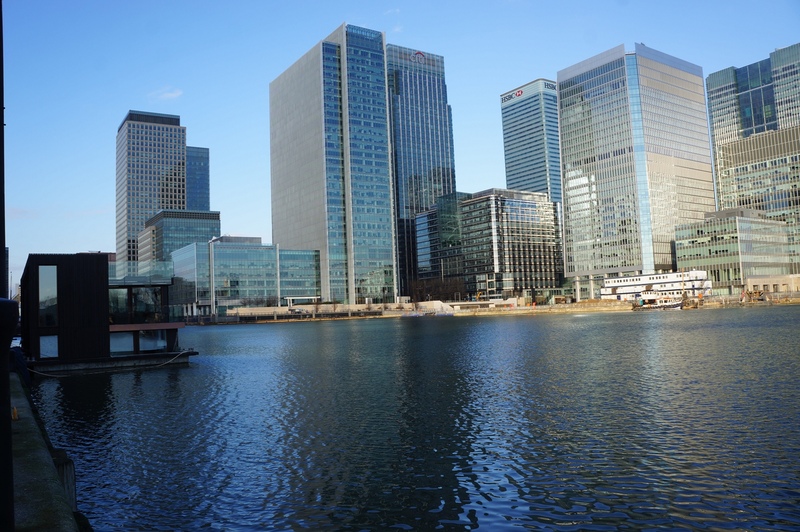 We make sure that even when it gets below minus 10 degrees it still can be warmed up to the needed temperature. 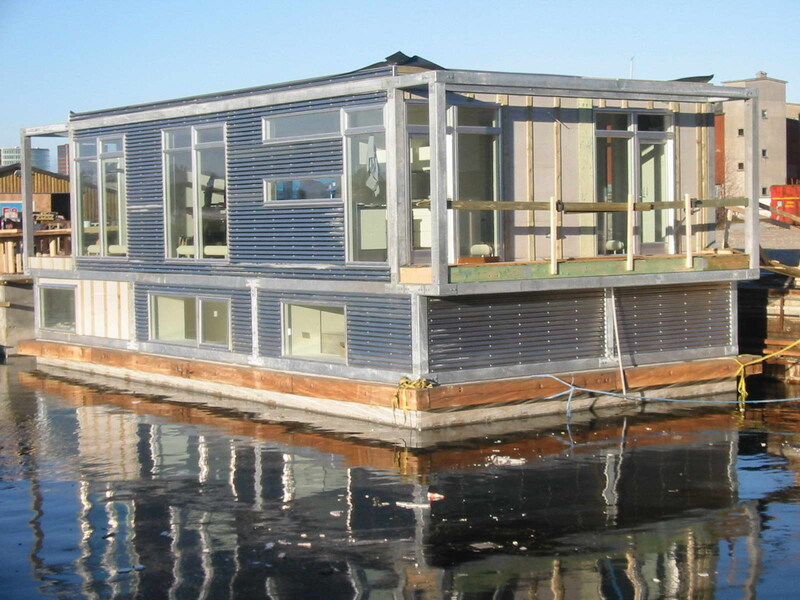 The cladding on the houseboat is sinus shaped aluminium plating, the windows are aluminium. 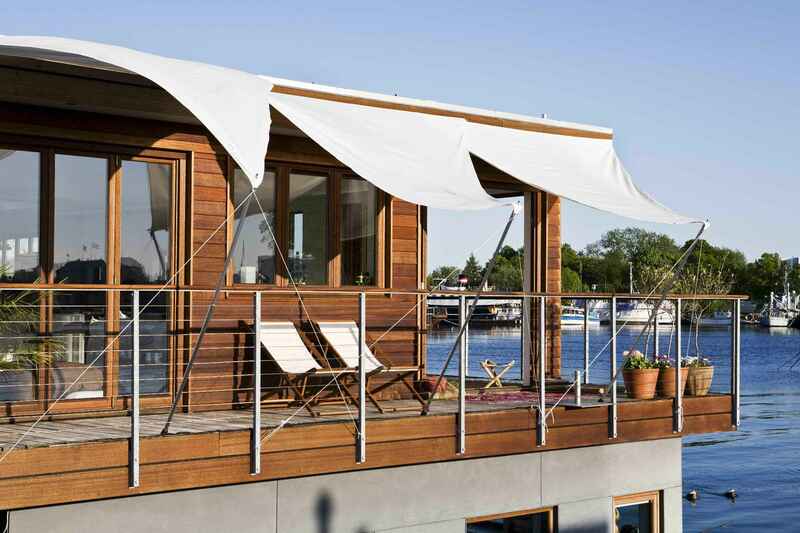 These surfaces are very easy to maintain and will keep the houseboat looking good for many years. 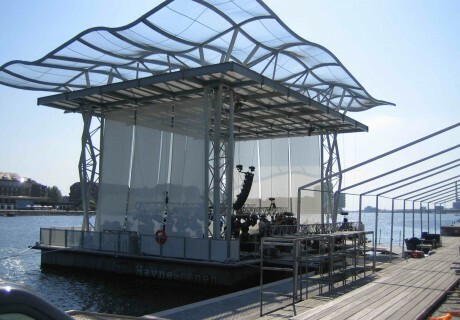 It is equipped with technique and tanks making it independent of location. 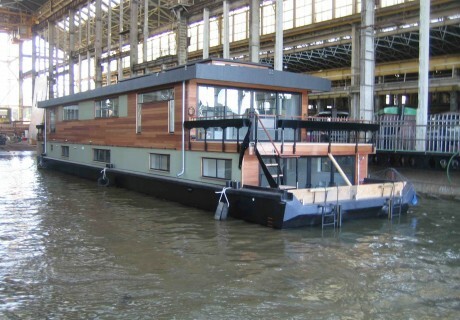 This size of houseboat is perfect for a family with 2 children. 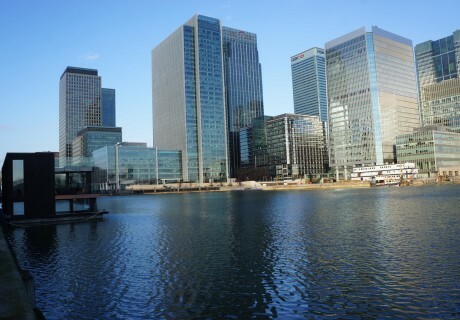 It is also very suitable for 2 people who need some office space and meeting facilities at home. 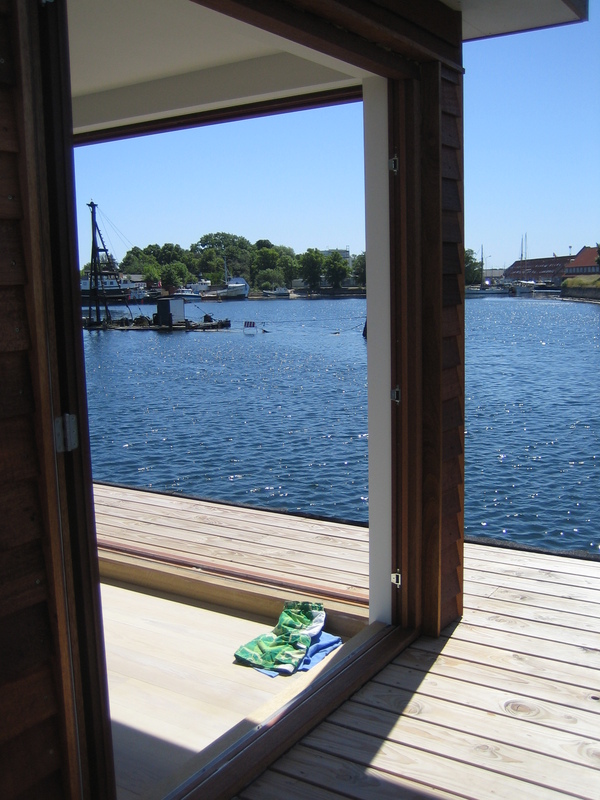 The boat is today located at a beautiful place in the heart of Copenhagen where the surroundings are tranquil. The fact that a houseboat is placed on water makes it easy for the owners to enjoy different types of watersports. 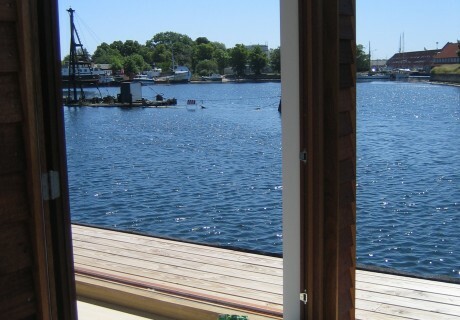 Many families that have a houseboat choose to have a little speedboat moored at the side of the houseboat. This makes it possible to go shopping, go out for dinner or do many other nice things using your speedboat as transportation method. 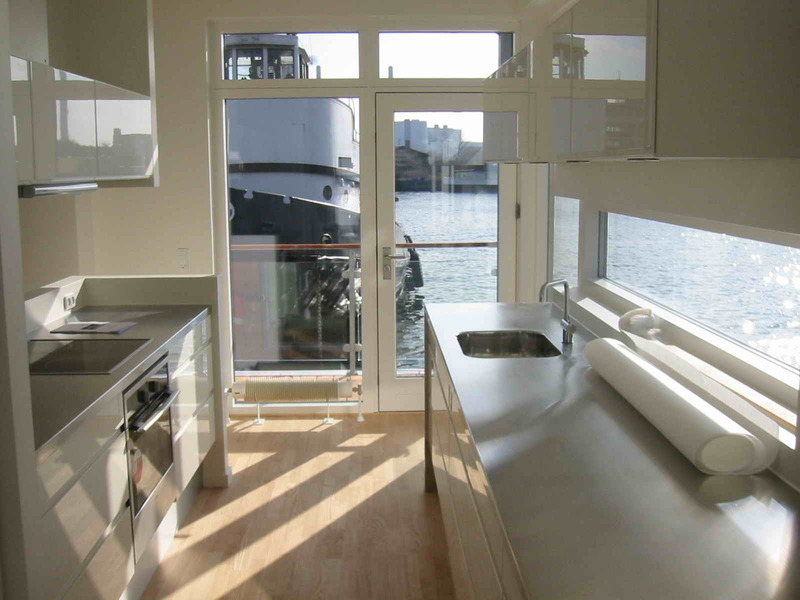 Quality Living a floating home by House on Water Ltd.
House on Water Ltd. / Dirkmarine builds floating homes, restaurants, stages, offices, showrooms, etc. 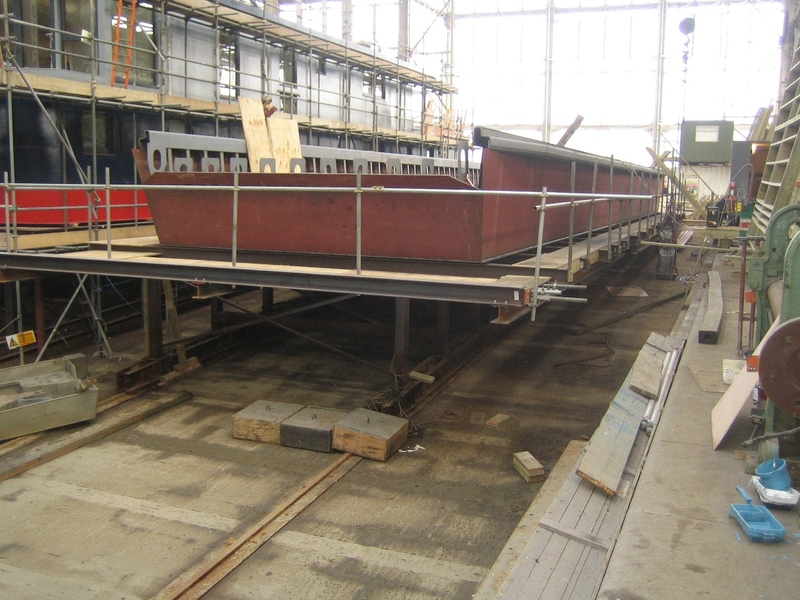 - and they all float on our 100 years maintenance free hull HUBB®. 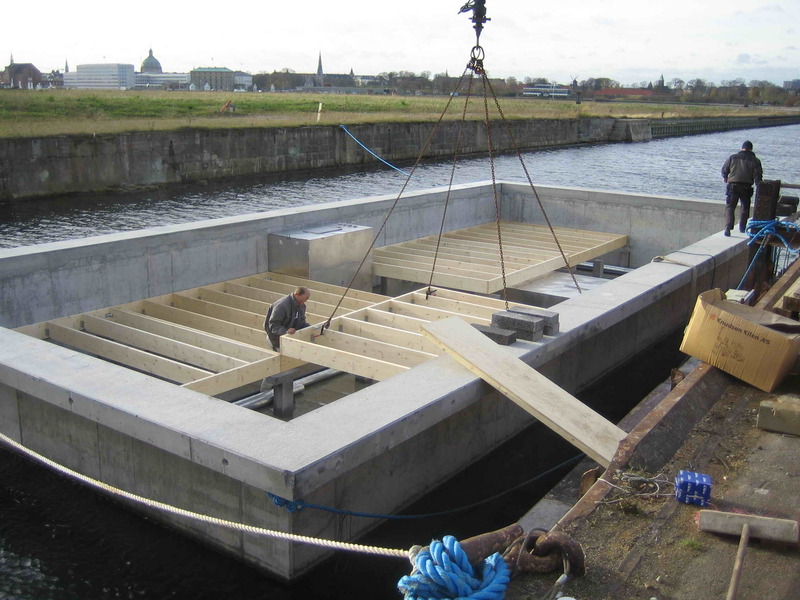 We have 15 years of faultless track record on our concrete hulls HUBB®, and approvals from the strictest authorities in Europe. 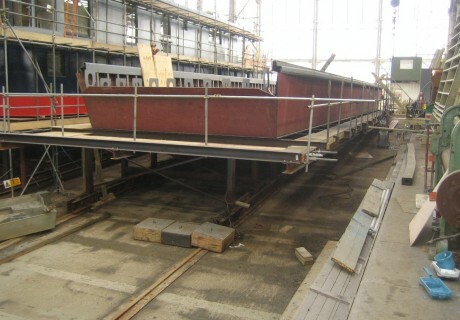 We have an ongoing production in UK, delivering turnkey custom designed products.